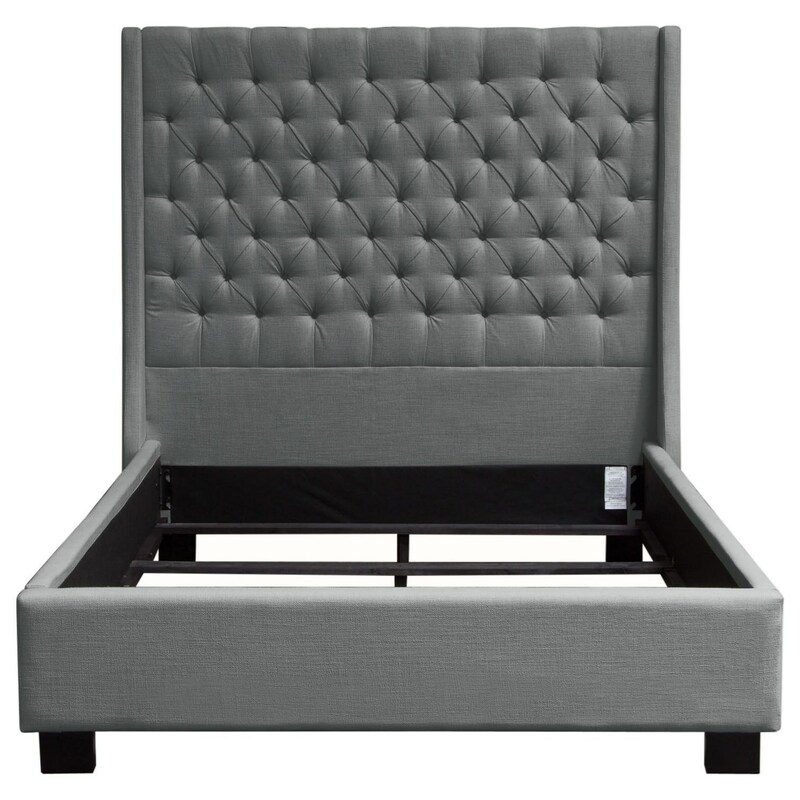 This bed is a hand crafted / hand tufted upholstered bed standing 69 inches tall. The 12 inch frame includes four slats with center supports added into the cleats for structural integrity. With its tufted headboard, vintage wing accents and wood feet finished in a rich medium walnut finish providing the backdrop for the Leather finish - creating this timeless addition to any bedroom's decor. Foundation or Box Spring is required. The Park Ave Eastern King Tufted Bed with Vintage Wing by Diamond Sofa at Michael's Furniture Warehouse in the San Fernando & Los Angeles area. Product availability may vary. Contact us for the most current availability on this product. PARKAVEGREKHB Headboard 1 0" 0" 0"
PARKAVEGREKWN Vintage Wings 1 0" 0" 0"
PARKAVEGREKFBSR Footboard & Side Rails 1 0" 0" 0"
The Park Ave Bed is a hand crafted / hand tufted upholstered bed standing 69 inches tall. The 12 inch frame includes four slats with center supports added into the cleats for structural integrity. With its tufted headboard, vintage wing accents and wood feet finished in a rich medium walnut finish providing the backdrop for the Leather finish - creating this timeless addition to any bedroom's decor. Bed is available in Queen, Cal King & Eastern King sizes. Foundation or Box Spring is required. The Park Ave collection is a great option if you are looking for Contemporary furniture in the San Fernando & Los Angeles area. Browse other items in the Park Ave collection from Michael's Furniture Warehouse in the San Fernando & Los Angeles area.